Have you ever seen this blue logo while out in public? Do you know what it represents? 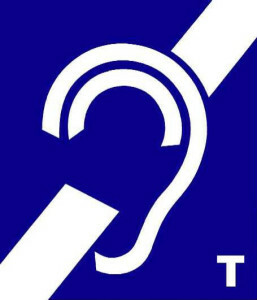 If you see this sign, it means that there’s an induction loop (sometimes called a hearing loop) nearby. But what is an induction loop, and how can it help you? 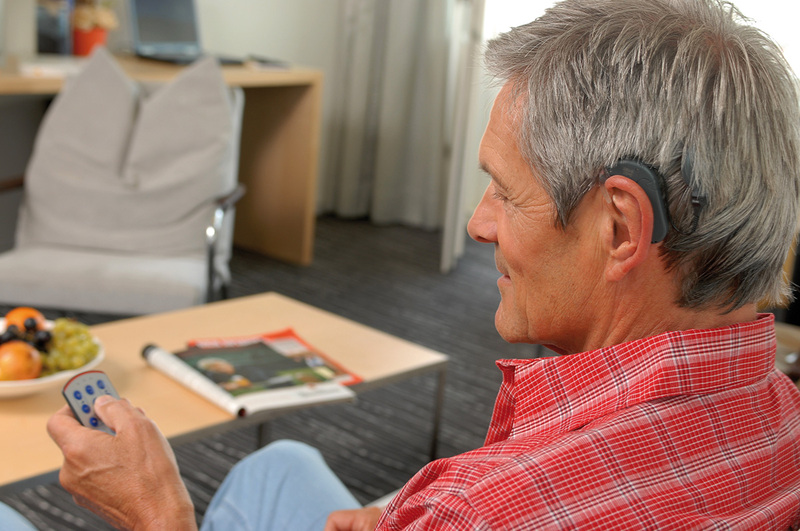 If you have a MED-EL cochlear implant, or any other telecoil-enabled audio processor, induction loops are your key to wireless hearing in public locations. 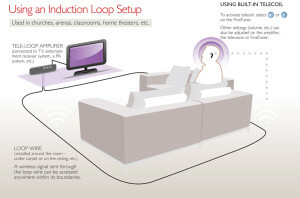 An induction loop is a type of ALD, or assistive listening device, designed to help you hear better. It transmits sounds directly from the source to your audio processor through magnetic fields, so that you can hear the sounds wirelessly. Induction loops can be found all over the place! Some of the most common places are concert halls, movie theaters, auditoriums, churches, banks, and public buildings where PA announcements are common. Some people choose to install induction loops in their own homes, and in certain countries even taxis have induction loops. How Can an Induction Loop Help Me? An induction loop makes it easier for you to hear clean and clear sounds. Because it transmits through magnetic fields, the signal is not affected by ambient noise or background noise. This means that if you connect to an induction loop, you can hear exactly (and only) the sounds provided by the induction loop. How Does an Induction Loop Work? An induction loop is, very simply, a loop of metal wire that is placed around a room. It is fed with signals from a microphone or other audio source, and sends these signals wirelessly into the room at certain frequencies. Your audio processor has a special computer chip inside that is programmed to receive these signals, similar to how a radio picks up a certain radio station when you tune to a specific frequency. 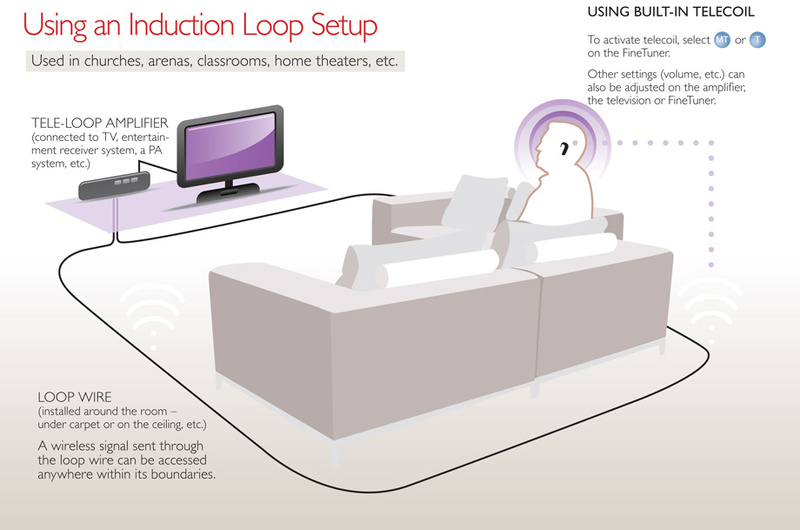 An induction loop setup in the home. If you have a MED-EL cochlear implant and have ever looked at the FineTuner, you’ve probably noticed two buttons labeled “T” and “M/T.” These two buttons are your key to accessing induction loops. But what’s the difference? It’s all in how the processor balances sounds from the microphone and induction loop. The “T” (for “telecoil”) setting lets you hear 100% the sounds that are coming through the induction loop. This can be great when you want to beam right into whatever sounds are being provided by the induction loop, and don’t need to hear any other environmental noises. For example, if you’re at a looped concert hall and want to listen just to the music without hearing the audience, you could select the “T” option. The “M/T” (for “microphone/telecoil”) gives you a 50/50 split: 50% of the sounds you hear will come from the audio processor’s microphone, while 50% will come through the induction loop. This can be useful if you’re with friends in a taxi that has an induction loop, and want to talk with your friends while still clearly hearing the driver’s voice.